Thank you for visiting my webpage & blog! 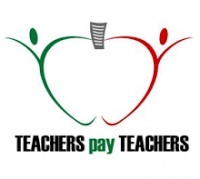 This is created with YOU in mind to easily find what you need at my Teachers Pay Teachers store. The content of the pages are each organized alphabetically by subtopic to give you ease and efficiency to find what you need for tomorrow, next week, or next month's lesson. Need an emergency sub plan? How about Math in the Movies? Are your students asking you "when am I going to use this in my life?" Then check out Area and Chocolate Boxes or Angle of Elevation Using Siri! Do you need a way to decide what homework questions to go over? Download my SMART Board HW Question which is a staple in my classroom. I enjoy creating secondary math resources for teachers to help you "work smarter, not harder." My student centered resources have a strong focus on student investigation, inquiry, and real life application. In my blog I like to focus on classroom happenings that I get "nerdy excited" about that will inspire you. I have been teaching primarily Algebra and Geometry at the high school level since 2001. I have written and participated in numerous grants over the years including ePortfolios, smaller learning communities, and an HP technology grant. My bachelors degree is in Secondary Math Education and my masters is in Technology in the Classroom. I hope you find some useful resources both here and at my Teacher Pay Teachers store!